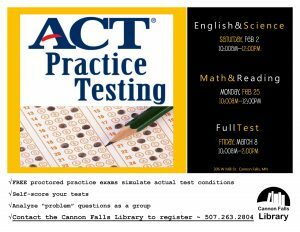 Free proctored practice exams simulate actual test conditions. Self-score your tests and analyze problem questions as a group. Registration is required. 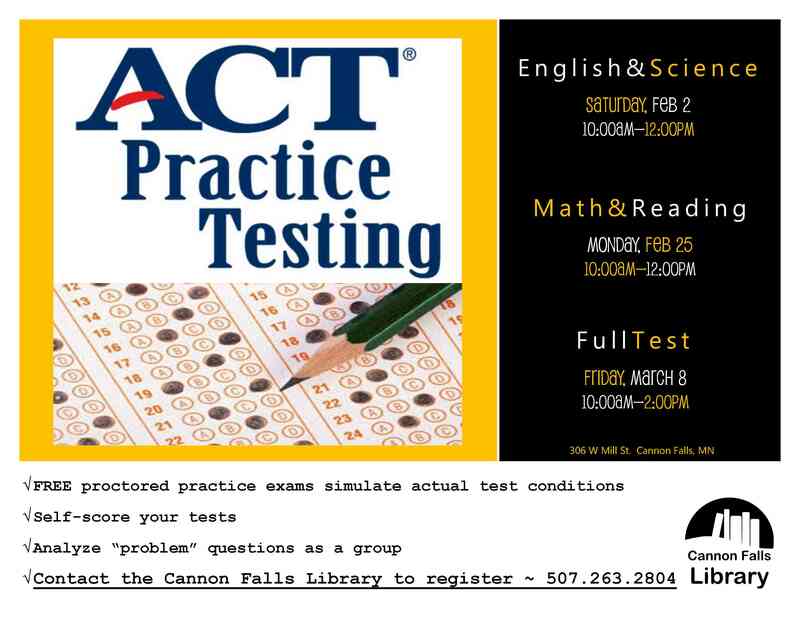 Register at the library or by calling 507-263-2804. ← Closing Early – Jan. 29th!! !